Here’s a quick tutorial on how you can downgrade iOS 12.1.3 to iOS 12.1.2 running on your iPhone XS, MX Max, XR, more. As long as Apple is currently signing a firmware version which your device supports, you can downgrade, upgrade or restore to it whenever you like. It so happens that iOS 12.1.2 is currently being signed by Apple, meaning that any user out there with a compatible device can jump straight to it, bypassing iOS 12.1.3 altogether. 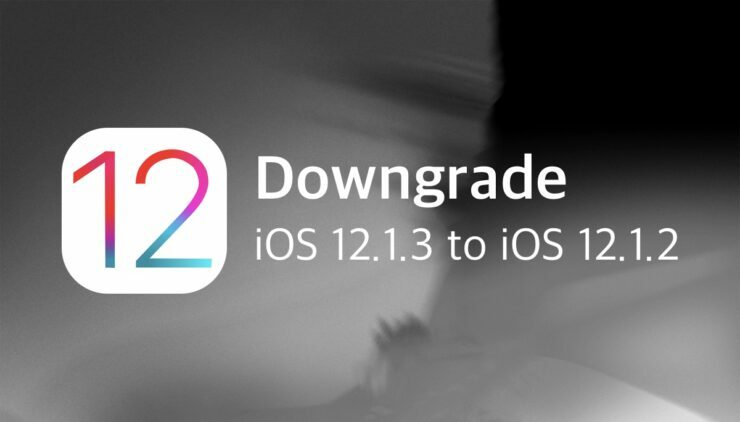 What this further means is that you can downgrade iOS 12.1.3 to iOS 12.1.2 as well. Why would you want to downgrade? Well, there might be a number of reasons. For example, you are facing issues which just weren’t there on iOS 12.1.2. This could include battery life problems, performance related hiccups and whatnot. Or you just want to downgrade because your ego is telling you to do so because that’s what the cool kids do, and we totally understand that. Remember one thing, once you go ahead with the downgrade, you will lose all your files and data. Therefore take a backup of everything before proceeding either to iCloud or iTunes. Take the route which you feel is convenient. After the downgrade, simply restore from the backup you created and everything will be back to how it was. 1. Connect your iPhone, iPad or iPod touch to your PC or Mac using a Lightning cable. 3. Assuming that the firmware file is done downloading, launch iTunes. 4. You will see your device listed in the top left hand corner of iTunes. Click on the little iPhone-like icon to view more options. 5. Now click on the button that says ‘Restore iPhone’ whilst holding down the left ‘Option’ key (Mac) or the left ‘Shift’ key (Windows). 6. Select the iOS 12.1.2 firmware file you downloaded in the second step. 7. Let iTunes restore the firmware file and this may take a while. Once it is complete you’ll be greeted by the iOS Hello screen. Set up your device as you normally would and restore from a backup if you please.